Woody breast continues to confound the poultry industry a decade after its discovery. The condition does not harm the birds or cause them to act differently, and it does not harm people if eaten. It does, however, cause the meat tissue on chicken to become unusually tough, with a coarse texture - prompting complaints from consumers and leading to large amounts of affected poultry products going to waste. The heavier the bird, and the larger the quantity of meat on it, the more likely it is to develop woody breast. While the condition can be found in leg meat, it typically affects breast meat, with enough impact to disrupt the supply chain. Poultry production plants typically wait until each carcase has been de-feathered before allowing breasts to be touched by human hands, which increases the expense of the process and slows production. If the breast meat is found to be unusually hard, it indicates the fillet has woody breast and the meat is moved into another supply chain, to be processed as ground chicken. The meat can then be used in chicken nuggets or other products that do not require a single piece of meat. 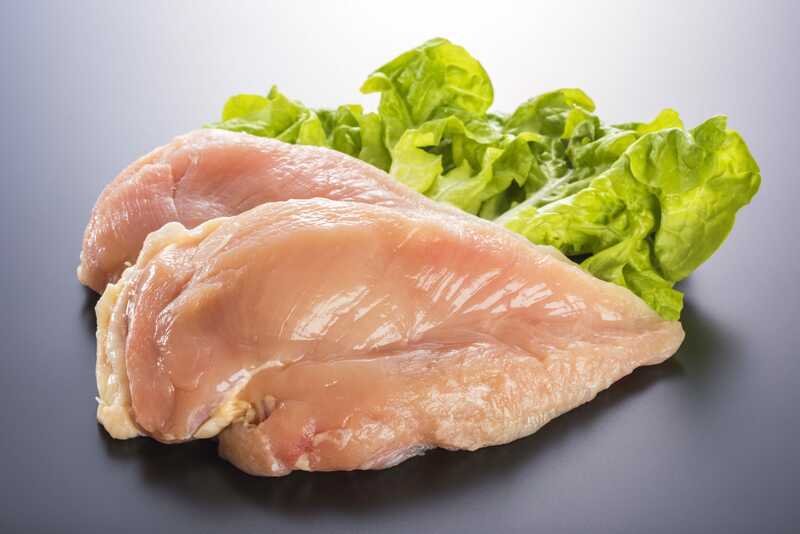 Chicken affected by woody breast is healthy to eat, but the texture is very different, says Dr Casey Owens-Hanning, Novus International professor of poultry science at the University of Arkansas. In the laboratory, the condition can be detected in chicks as young as a week old, which suggests the problem might be genetic, says Dr John Glisson, vice president of research at the US Poultry & Egg Association. The condition seems to be associated with vascular problems in the birds. Broiler chickens have been bred to strengthen the genetic markers for large breast meat, and this is thought to be a factor in the development of woody breast in recent years. One indication of this is the Athens Canadian Random Bred, a broiler chicken that has been maintained since the 1950s for research purposes. Lesions indicative of woody breast are found in this heritage breed, but not to the extent of the typical modern broiler chicken. According to Glisson, selecting genes for growth and yield has caused breeders to inadvertently select for woody breast, too. Dr Owens-Hanning says reports of the condition have decreased, but she doesn’t think it’s because there are fewer instances of woody breast. Rather, people at the processing plants are getting better at identifying the condition and handling it before it gets to restaurants or consumers who would report it having been disappointed with the quality of their purchase. Owens-Hanning first started studying the condition in 2014, and has visited several processing plants to try to determine what causes the condition and to look for similarities between the birds that have it. Genetics remains a focus in the search for a cause, but other areas under scrutiny include the oxidation of proteins in muscles, the size of the fibre diameter and other vascular issues. In addition, it has been noted that many of the birds with woody breast have a decreased water-holding capacity, and are slightly larger on the growth curve than other birds. Woody breast was first reported to Aviagen in 2011, one of the world’s leading primary-breeding companies for broiler chickens. Since then, its research and development team has been working to understand the cause of woody breast and how to mitigate its effects. Studying woody breasts under a microscope, the Aviagen team has found muscle-fibre degeneration and active repair, an increased deposition of connective tissue and fat and an infiltration of immune cells – which are involved in both removing the degraded muscle cells and stimulating muscle repair. These changes indicate reduced oxygen levels in the muscles, which causes them undergo oxidative stress. This in turn results in insufficient levels of antioxidants in the chickens’ breast tissue. Understanding the factors that impact oxygen and antioxidant levels in the muscle has been key to Aviagen’s research, says Santiago Avendano, global director of genetics for the Aviagen Group. Everything from the birds’ environment to vaccinations are being studied as possible causes and contributing factors. The R&D team has also looked at the role diet and nutrition might play. Keeping birds on the recommended growth curve and within standard weight ranges can help reduce the occurrence of woody breast. No dietary supplement has been found to reduce incidence of the condition in the field. The condition has been seen globally across a wide range of genotypes, bird sizes and genetic origins, and according to Aviagen’s researchers, there is no evidence of any mutation having played a role in the condition. Poultry workers, meanwhile, are getting better at detecting the condition by handling fillets. As a result, says Glisson, the affected cuts are being increasingly removed from the production line and data about how often the condition occurs has become unavailable. The US Department of Agriculture (USDA) has partnered with universities on several different research projects. In addition to studies attempting to identify what causes woody breast, research is being carried out to develop ways affected meat products can be spotted with technology. Rather than having someone touch each fillet, it might be possible to X-ray the meat or use electrical impedance measurement, a system that has been used in the fish and beef industries. A 2016 report by the US National Poultry Research Center found that different applications of imaging technology - optical coherence tomography imaging, hyperspectral imaging, Vis-NIR hyperspectral imaging and 3D imaging - could differentiate between the muscle-surface characteristics of normal chicken and fillets affected by woody breast. Some of the methods examined had a greater than 95 percent accuracy. Additional research is to be conducted to fuse the different image-based technologies to increase accuracy. Males and females from three modern broiler strains, and the Athens Canadian Random Bred, were studied in a 2017 report by the US Poultry & Egg Association and conducted by North Carolina State University: ‘Factors Contributing to Superficial Pectoral Myodegeneration and Sclerosis (“Wooden Breast”) in Broilers’. The researchers found that woody breast impacted almost every bird they studied. The degree of severity varied, with the ACRB birds showing less severity than their peers at eight weeks old. 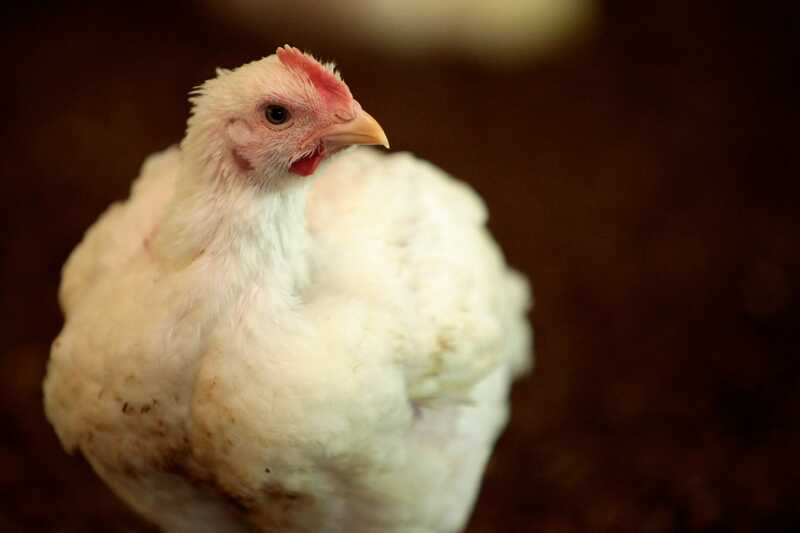 A report by the Department of Animal and Food Sciences at the University of Delaware confirmed the condition seemed to affect chickens growing faster on the growth curve than other birds. Heavier birds at one week old were more likely to have a predisposition to develop the condition. Additional studies are ongoing and are focused on the effect of dietary glutamine and arginine on the metabolism, the possibility of a virus as the cause, nutritional strategies to reduce occurrences of the disease and developing a bioelectrical impedance index for the rapid detection of woody breast fillets.